So my moms is in town visiting from the US, so I've had a few days holiday. I don't know if it's the time of year or what, but I just couldn't get it together to book anything, so we just hung out around the homestead. She brought over a J. Crew catalogue for me to browse. When I lived in the US, it was one of my favourite brands, so I love looking at their stuff. Here are a few items I saw in the catalogue that I am loving! I love deep dark and bright green, and this toggle coat in cashmere-wool is simply gorgeous if you ask me! I totally love it. I so want it. >_< At $325 US though, I'm probably not going to get it. 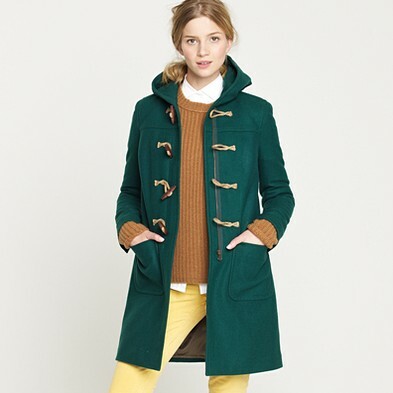 However if I happen to see it in the Xmas sales, well... then this baby is all mine! 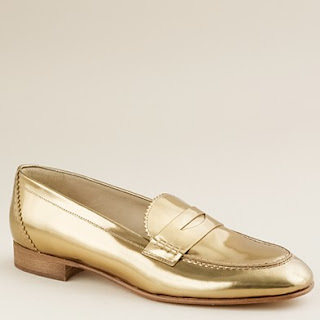 My next choice would be these gold Biella penny loafers. Again, not for the fainthearted at $248 USD, but they sure would look lux on! My last choice would leave Dorothy jealous! 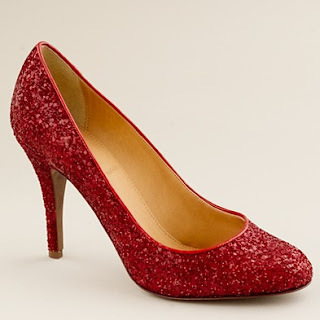 These red Mona glitter pumps are unreal! Sadly since I started writing this blog, they've also disappeared from the website! I guess everyone snapped them up! I imagine there's no place like home when you're rocking these pumps with a black dress! The mother is very thoughtful indeed. 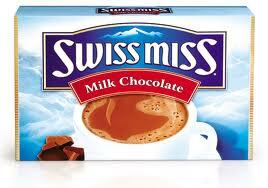 Although sadly she didn't have the foresight to buy me any of the above mentioned items, she did bring some awesomeness my way in the form of a bumper supply of Swiss Miss Hot Chocolate, which is the bestest hot chocolate ever! She also brought me a haul of nail polishes that I'd ordered (including the much awaited Chanel Peridot!). I order them in the US because it's soooo much cheaper than in the UK! Reviews and swatches to come!